Here’s a few important updates to share with you for the month of December! We are excited to announce the release of PhishER, a new product that’s a huge time-saver for your Incident Response team. It’s surprisingly affordable. Do your users know what to do when they receive a suspicious email? Should they call the help desk, or forward it? Should they forward to IT including all headers? Delete and not report it, forfeiting a possible early warning? KnowBe4’s no-charge—yes, you read that right—Phish Alert Button gives your users a safe way to forward email threats to the security team for analysis and deletes the email from the user’s inbox to prevent future exposure. All with just one click! Not using the free Phish Alert Button? Now that You’ve Seen It…Get a Quote of PhishER! A New Phish Alert Button Video has been added to help train your users on how to use the Phish Alert Button. 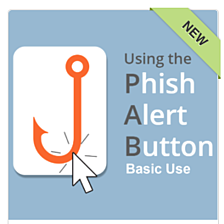 In this module, users learn about the Phish Alert Button (PAB), an email plugin that gives your users a safe way to handle actual or potential phishing emails. This module is the shortest version of this training and assumes that you have done training on how to handle emails before being assigned this training. This training module is available across all subscription levels. 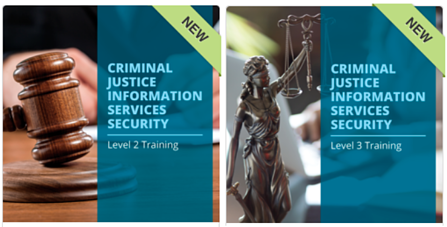 Two new training modules were added to the Criminal Justice Information Services Security Series (CJIS): Level 2 and Level 3 Training. CJIS Level 2 security training supplements the basic Level 1 course. It is designed to satisfy the FBI/CJIS requirement for employee training within 6 months of hiring for to understand the role of a Level 2 worker in protecting CJI. CJIS Level 3 security training supplements the Level 1 and Level 2 courses. It is designed to satisfy the FBI/CJIS requirement for employee training within 6 months of hiring to understand the role of a worker with Level 3 access in protecting CJI. 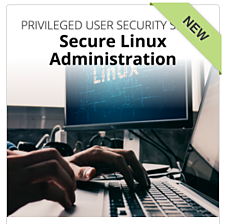 One new training module was added to the Privileged User Security Series: Linux Administration. This course covers several important Linux security aspects, including login security, file permissions, why you should never “run as root,” why and how to watch your command history and other best practice tips. This course is designed to give you a basic overview of Linux security, which can be a very complex and advanced topic. It is intended for newer Linux admins or those interested in getting started with Linux administration. A new video module is now available called KnowBe4 Pretexting – Fake IT Attack. 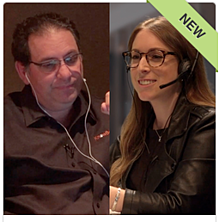 In this video module Kevin Mitnick (world renowned security consultant, public speaker and author) and Rachel Tobac (social engineer and the CEO / Co-founder of SocialProof Security) role play a social engineering attack using pretexting. Pretexting is a form of social engineering where the attacker lies to obtain restricted information. In this attack, Kevin explains how he is able to steal the local password and the password for the HR system by pretending to be a member of the IT team. All these KnowBe4 courses are available at the Gold, Platinum, and Diamond subscription levels. Today, mobile refers to a massive web of connected devices (the Internet of Things, or IoT). It isn’t about simply having access while on-the-go. It’s about having control of nearly everything from the convenience of a smart device that fits in your pocket or straps to your wrist. 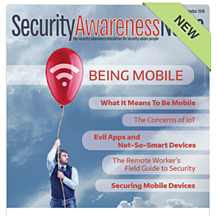 Learn about being secure when you and your users are mobile in the SAC December Newsletter. 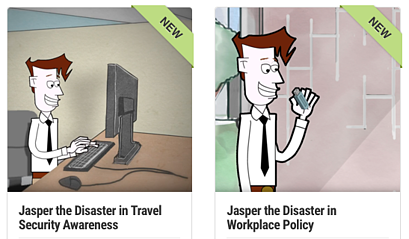 Two new video modules were added to the Jasper the Disaster Series. Meet Jasper. He is one of our best employees. He’s always on time. He works hard. He never complains and is always happy to help out. But is he a security liability? Let’s follow him around the office and see if he follows policy and how security-aware he is when working remote. All Security Awareness Company content is available at the Diamond subscription level. All Popcorn Training Security Docs and Posters are available at the Diamond subscription level. exploqii added a new video module this month, Microphone, Camer a & Selfies. A selfie in the office in front of a seemingly insignificant background, shared with others. In it, third parties can see business rooms, identities and internal documents. If the next step is hacking a smartphone, tablet or computer, perpetrators could use the microphone or camera to record conversations or spy on business rooms. 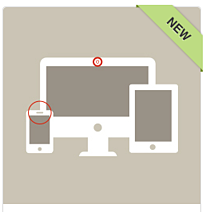 This module raises employee awareness of the risks their electronic devices can bring. This exploqii video module is available at the Diamond subscription level. Want access to the most comprehensive security awareness training content? With a Diamond subscription, see how much is available for your training needs! To see the full list of new content added this month and an inside look into the KnowBe4 platform, sign up for the Modstore Training Preview now!